Decorated by George Washington for his exploits as a soldier, Monroe became a congressman, a senator, U.S. minister to France and Britain, governor of Virginia, secretary of state, secretary of war, and finally America's fifth president. The country embraced Monroe's dreams of empire and elected him to two terms, the second time unanimously. Mentored by each of Americas first four presidents, Monroe was unquestionably the best prepared president in our history. 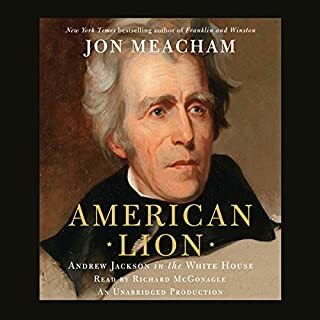 Like David McCullough's John Adams and Jon Meacham's recent book on Andrew Jackson, this new biography of Monroe is both a solid listen and a stellar scholarship history in the grand tradition. ©2009 Harlow Giles Unger (P)2009 Audible, Inc. 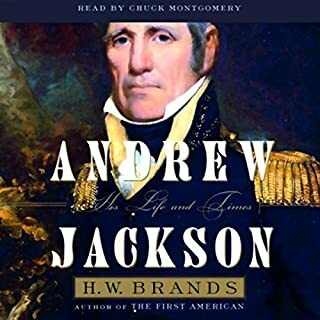 I am not a historian, but after having listened to several books about revolutionary era history and politics I found it difficult to listen to this one. Unger's Monroe almost never makes an error in judgement, is single-handedly responsible for America's post-Madison economic boom, and is heroic to all of his time. Even George Washington doesn't get this kind of hero worship - at least not in Chernow's "Washington, A Life". That said, as a work of hero worship it is engaging and well written, and well performed by McConnohie. If historical perspective and balance is not your goal you will likely enjoy listening to it. At the time I read it it was the only biography of Monroe on Audible so I can't suggest you to listen to a different one. However, if you're going to read it keep your skepticism on guard. Good introduction, Worth Listening To. In this biography Harlow Giles Unger brings us a portrait of a man who few know much about today. Born in colonial Virginia Monroe was orphaned at a young age. He took on the responsibility of raising his younger siblings. When the American Revolution broke out Monroe joined up. He became an officer, was wounded at the Battle of Trenton, was decorated by Washington. He served as a Congressman, a Senator, as Governor of Virginia, and as Ambassador to the French Republic. Later he would serve as Secretary of State and Secretary of War under James Madison. He would then succeed Madison as President. This book has its good and bad points. It is well written and should be easy for the general reader. It is quite informative and gives a good portrait of Monroe. On the downside the author tries a little to hard to build up Monroe by pulling down others around him. Monroe was a firm supporter of the French Revolution and, like Jefferson and Madison, cheered on the slaughter of the former ruling class. This is played down considerably in this book. 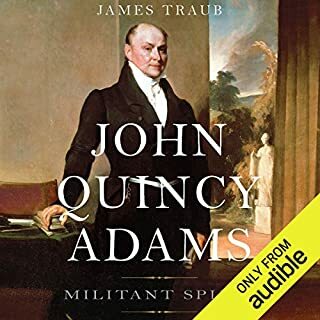 The author also finds it necessary to try and pull down the character of both John Adams and his son John Quincy Adams. Since the younger Adams was the Secretary of State during Monroe's presidency much credit is given to him for the success of the United States in that era. Unger tries to argue that Monroe was the better diplomat. The only reason that he gives is that Monroe was ambassador to France and Adams was not. He ignores the fact that Adams had been involved in Foreign service for most of his life, including a stint as the secretary and interpreter to the first US ambassador to Russia when he was a young teenager. Adams had served as Ambassador to Prussia and Russia. He had helped to negotiate the Treaty of Ghent. To dismiss his many accomplishments with a single backhanded comment was quite uncalled for. It is a good book and is well worth reading. Most of us know him merely as a name in the list of Presidents. This enlightening book shows him as so much more. He brought real change to America and set our nation on a course toward greatness. He was devoted to his family and to his country. I have read Unger’s biographies of John Quincy Adams, Patrick Henry and George Washington and have enjoyed his writing style. The author does a good job telling the story of the pre-presidential years in a fast paced informative succinct manner. In the book Unger claims Monroe alone wrote the Monroe Doctrine. Yet in his biography of John Q. Adams he implied John Q. helped Monroe author the document. Unger states that Monroe was not a strategic thinker but he describes him as hard working, observant and popular. Madison had the advantage of being president during the post war economic boom. He was the first president to do away with taxes including property taxes as the government was making a good income from other fee such as tariff fees. Unger does go into the role and contribution of Monroe’s wife Elizabeth Kortright Monroe, who revealed great courage in obtaining the freedom of Lafayette’s wife Adrienne and her family from prison during the Reign of Terror during the French Revolution. James Monroe was the Ambassador to France during the Reign of Terror. Elizabeth Monroe was considered to be an outstanding First Lady even as she struggled with rheumatoid arthritis. I have read bits and pieces of this daring, courage act by Elizabeth Monroe in facing the prison officials holding a peerage family being held for the guillotine and rescuing them. I wish someone would write a book about this feat of Elizabeth Monroe. I think this would make a good doctoral thesis as little has been written about the event. 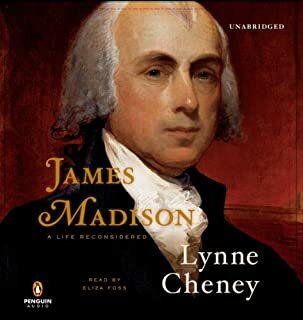 In 2014 I read two different biographies about James Madison, and they differ a bit from the figure that Unger paints in this book. I noted in the other biographies that Madison bought Monroe’s dishes and furniture to help him feed his family when Monroe fell into financial problems. The author points out that Monroe was the only early president other than George Washington to be elected to two terms unopposed. Monroe was the only early president other than George Washington to tour the country while he was president. The book was well written, meticulously research and a delight to read. For those who love trivia the book has lots of trivia facts. The book was narrated by Michael McConnohie. The prologue to Unger's book had me worried by the number of superlatives he used to describe Monroe. As I got further into the book, I realized Unger's Monroe was a saint, practically perfect in every way. 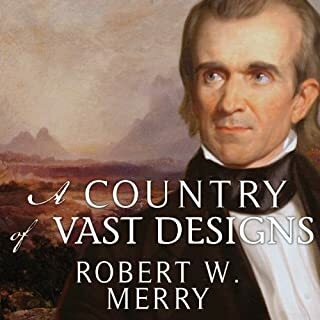 I found this book to be a one-dimensional portrait of a man, not Unger's saint, whose main legacy, largely ignored by Unger, was bitter party politics (witness the election of 1824) and a refusal to address in any meaningful way the festering sore of slavery. This is by far the worst biography I have ever read, and I have read many. 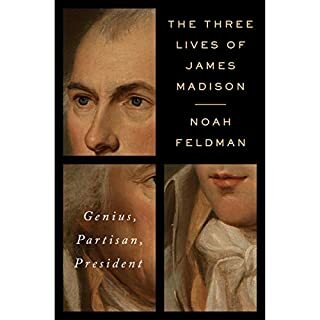 Right away in the Prologue when the author wrote "John Adams, Thomas Jefferson, and James Madison were mere caretaker presidents who left the nation bankrupt...", I knew I was in for a one-sided hero-worship biography, and that is what I got. The author portrays Monroe as faultless and virtually everyone except Washington as bumbling and malicious fools. The continuous adulatory adjectives chosen to portray Monroe and his wife, and the descriptions of how his admirers "trembled with emotion" and his adversaries "trembled with fear" became really, really annoying. I rarely yell at my audiobooks during my commute. This is just embarrassingly unprofessional history. James Monroe was an important and interesting character. Unger makes him uninteresting and a saint. There are an excessive number of factual errors to add to the mix. There are several good biographies of Monroe. Unfortunately, this is not one of them. The reading is overly dramatic but it does fit the author's intent quite well. A timely reminder of a great, self made patriot and world stateman. It brings into focus the courage of a young nation to defend the cause of the freedom of nations and individuals. I am far from a historian, but I’ve read/listened to a fair amount from this general time period. None of the other biographies I’ve read make their guy out to be a demigod. There are statements in the beginning/intro that remind me of the most obnoxious spin of today. More measured praise would make the text more believable. I don’t regret having listened, but it makes me wish there were another good Monroe biography to listen and compare. 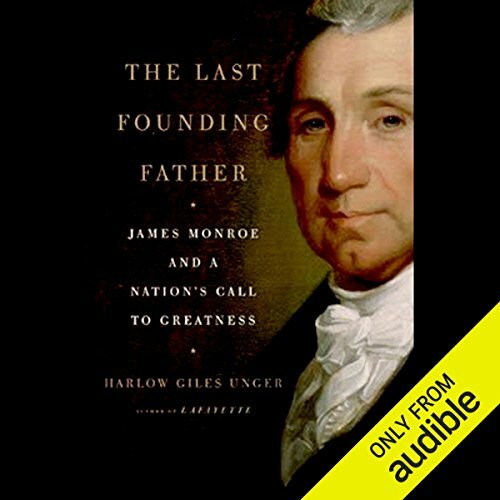 While informative if you only want to learn more about James Monroe. I’ don’t find this a scholarly work with an even handed look at the issues.